The Office of Veteran Affairs at Baton Rouge Community College will host its annual Veterans Day program on Thursday, Nov. 8 at 11 a.m. in the Magnolia Theatre, Mid City Campus, 201 Community College Drive. 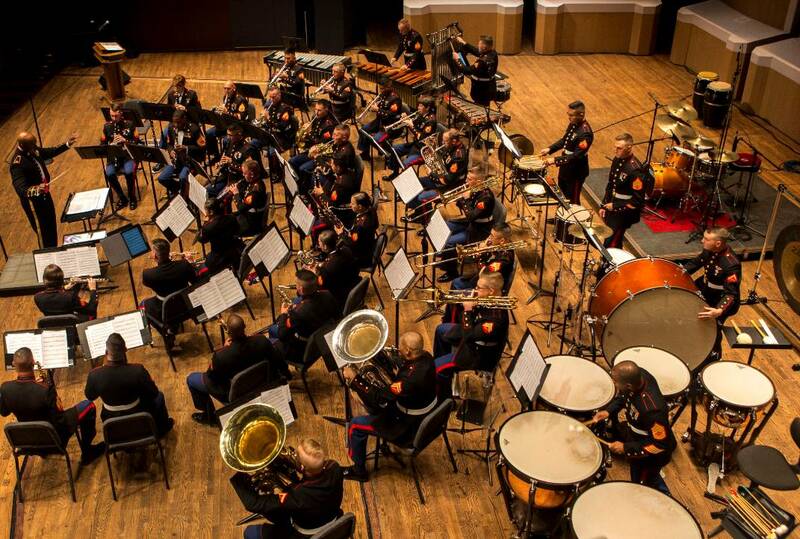 The Marine Forces Reserve Band from New Orleans will play “Songs of Freedom.” The guest speaker, Major William T. Kerrigan will deliver a keynote on the topic: “Freedom is not free.” Refreshments will be served. The event is free and open to the public. The Houston Livestock Show and Rodeo (Houston, TX), The Fiesta Days Celebration (San Antonio, TX), The Pro Football Hall of Fame Parade and Enshrinement Ceremony (Canton, OH), Monday Night Football Kansas City vs. New England (Kansas City, KS), Fleet Week New York (New York, NY), Super Bowl XLVII (New Orleans), CMA Fest (Nashville, TN), and various Mardi Gras parades and ceremonies. Major Will Kerrigan is originally from Stafford, VA. He graduated from Christopher Newport University in 2005 with a B.S. in Governmental Administration and subsequently commissioned as a Second Lieutenant. From September 2005 to June 2006, he attended the Basic Officer Course and Infantry Officer Course in Quantico, VA. In June 2006, he was assigned as Platoon Commander, Combined Anti-Armor Team (CAAT) Platoon, Weapons Company, 3d Battalion, 6th Marines and deployed to Habbaniyah, Iraq in support of Operation Iraqi Freedom (OIF). In September 2007, Lieutenant Kerrigan was assigned as Executive Officer, Company I, and deployed to Fallujah, Iraq in support of OIF. Upon redeployment, he was assigned as Commanding Officer, Headquarters and Service Company. In June 2009, Captain Kerrigan was assigned as Platoon Commander, 3rd Fleet Antiterrorism Security Team (FAST) Company in Norfolk, VA. During that time, he completed deployments to Naval Station Guantanamo Bay, Cuba and Naval Support Activity, Bahrain. In April of 2010, Captain Kerrigan and his platoon forward deployed to Bishkek, Kyrgyzstan in support of the U.S. Embassy. In September 2010, he was assigned as the Training Officer, Marine Corps Security Force Regiment at Yorktown, VA. In July 2012, Captain Kerrigan attended resident Expeditionary Warfare School (EWS) in Quantico, VA, and graduated with distinction. In July 2013, Captain Kerrigan was assigned to 2d Battalion, 7th Marines (2/7) and assumed command of Company E, later designated as the Crisis Response Company (CRC). In 2014, he deployed as the CRC Commander with Special Purpose Marine Air Ground Task Force-Crisis Response-Central Command (SPMAGTF-CR-CC) 15.1 in support of Operation Inherent Resolve (OIR). Upon redeployment, Captain Kerrigan was reassigned as the Operations Officer. Promoted to his current rank in September 2015, Major Kerrigan redeployed to Al Jaber, Kuwait in direct support of OIR as the Ground Combat Element (GCE) Operations Officer, SPMAGTF-CR-CC 16.2. Major Kerrigan finished his tour with 2/7 as the Battalion Executive Officer. Major Kerrigan assumed command of Marine Corps Recruiting Station Baton Rouge in June 2017. Additional military schools Major Kerrigan has attended include: Operations and Tactics Instructor Course, Weapons and Tactics Instructor Course, and the Martial Arts Instructor Course. He received a Masters of Education from Liberty University in 2012. Major Kerrigan has received the following personal awards: Meritorious Service Medal, Navy and Marine Corps Commendation Medal (with gold star in lieu of second award), Navy and Marine Corps Achievement Medal (with combat distinguishing device; with gold star in lieu of second award), and the Combat Action Ribbon. He is married to the former RaeAnn McKenzie of Keller, Texas and together they have three children: Austin, Emily Belle, and Beaux.